For this, the Saudi regime paid a corrupt PLO leader in Beirut (Abu Az-Za`im, tied to Jordanian intelligence) to get rid of As-Sa`id. He kidnapped As-Sa`id from a crowded Beirut street in 1979 and delivered him to the Saudi embassy there. He was presumably tortured and killed (some say his body was tossed from a plane over the “empty quarter” desert in Saudi Arabia). Such is the track record of the regime. 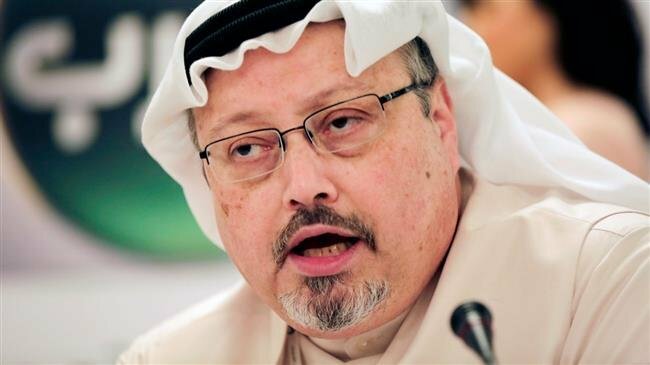 Khashoggi distinguished himself with an eagerness to please and an uncanny ability to adjust his views to those of the prevailing government. In the era of anti-Communism and the promotion of fanatical jihad in Afghanistan and elsewhere, Khashoggi was a true believer. He fought with Osama bin Laden and promoted the cause of the Mujahideen. Khashoggi was an ambitious young reporter who knew that to rise in Saudi journalism you don’t need professionalism, courage, or ethics. In Saudi Arabia, you need to attach yourself to the right prince. Early on, Khashoggi became close to two of them: Prince Turki Al-Faysal (who headed Saudi intelligence) and his brother, Prince Khalid Al-Faysal, who owned Al-Watan (The Motherland) where Khashoggi had his first (Arabic) editing job. This entry was posted in News and politics and tagged Jamal Khashoggi loyal to Saudi, no campaigner for truth, Qatar enemy of Saudi, Saudi Press, Saudi Propaganda apparatus. Bookmark the permalink.